There's a lot of ways to buy my new album "Unknown", with more to come. First, you can buy DIRECTLY from me buy pressing the BUY button on the right side! Second, you can buy it on DigStation. And you can also buy it on CDbaby! If you'd like to buy the PHYSICAL CD for 5.99, on CDbaby, it WILL be possible. For SOME strange reason, it won't let me change my settings, but keep checking back. iTunes, Amazon mp3, and more to come soon! It's another Sunday and another Rainbow Sounds! Oh, wait... Rainbow Sounds ended in December... my bad. Anyhow, I wanted to share a playlist of songs that are hot in my mind (and media player) today... and lately. Lately, I have been addicted to RuPaul's "Drag Race" album (basically a bunch of remixes from "Champion"). My favorite features French singer Tilly Key on the remix of "Jealous of My Boogie" called "J.O.M.B. 2.0 [RevoLucian's Redux]". It's a great track, a little variety from the original, a new voice, and its great to dance (or work out) to. Anastacia IS working on a new album, although I haven't found a legitimate release date set for that. Mariah Carey is ALSO working on TWO albums. "Angel's Advocate" (the remix album to "Memoirs of an Imperfect Angel") was scrapped after 4 out of the 5 singles release for "Memoirs"/"Angel's" did NOT chart Billboard's Top 100. Also, several sources say she's working on another Christmas album. 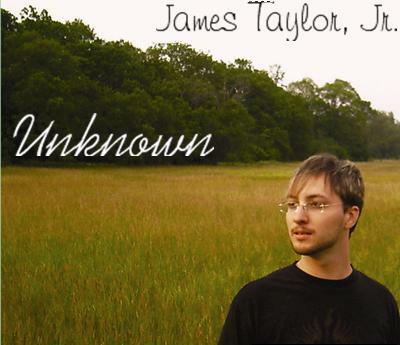 James Taylor, Jr. (gosh that names sounds familiar) will release "Unknown" this Tuesday, starting with Digstation.com and physical release. CDbaby, iTunes, Amazon, and other retailers to follow. "Unknown" (2010 release) should be available on May 11th, 2010.